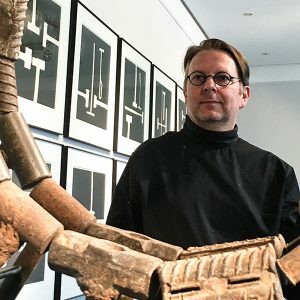 Arnd Christian Müller lives and works in Beijing, China, since 2000, making Beijing his longest uninterrupted place of residence. The challenges of everyday life in this megacity change perception and attitude on life and creativity. Arnd experiences it as a never-ending feast for his ever-alert creativity. “Art” book lays out a selection of works in chronological order, starting in 1991. It shows the sometimes thoughtful, sometimes spontaneous or playful willingness to being challenged and experiment with different materials, objects and topics, leading to the production of these creative milestones. For the artist it is essential to work within a wide array of different forms of expression, allowing him to choose whichever feels right for what he wants to convey. His work therefore comprises photography, painting, sculpture and mixed media. Some of his exhibits come with the tag “Please touch me gently”, inviting the onlooker to actively engage with the work. It is Arnd’s feeling that movement brings or keeps some artworks alive and somewhat elusive, as the momentum of the motion will bring about slightly varying performances.